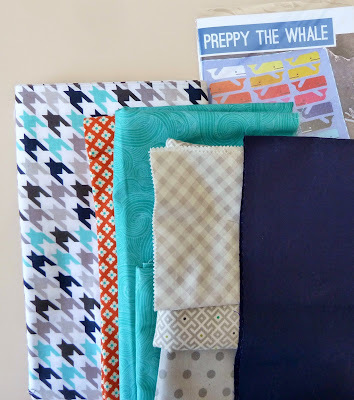 Just in time for the Blogger's Quilt Festival I finished this Preppy the Whale mini quilt. 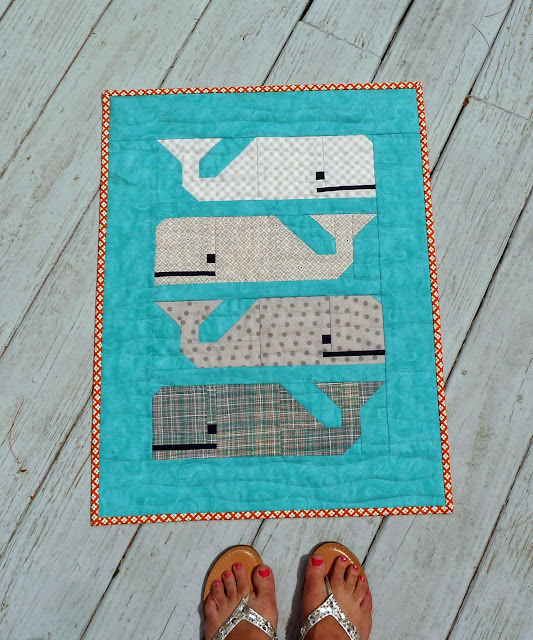 I have to admit when I was asked to make this quilt I was unenthused... been there, done that and grey? How blah! I pulled these fabrics and then it sat until guilt and the baby's impending arrival finally motivated me. I don't know why I waited so long, once I actually started this went together in an afternoon. Despite having 16 different sized pieces per block these whales go together quickly. 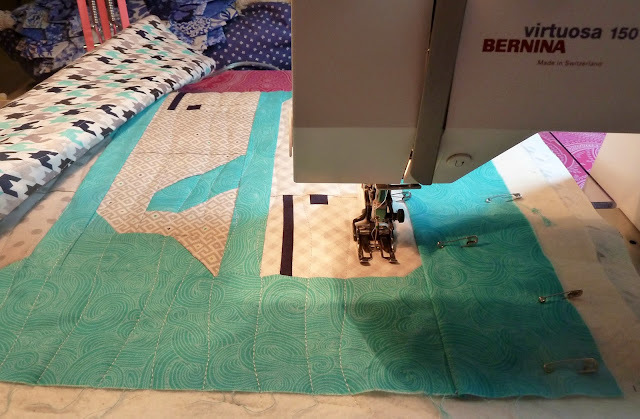 The quilting was also a breeze. I love these wavy organic lines! Orange isn't really my color but I thought it added the perfect pop for the binding. Now that it's finished I'm a little sad to send it off but I know it will be a lovely addition to my friend's new nursery. 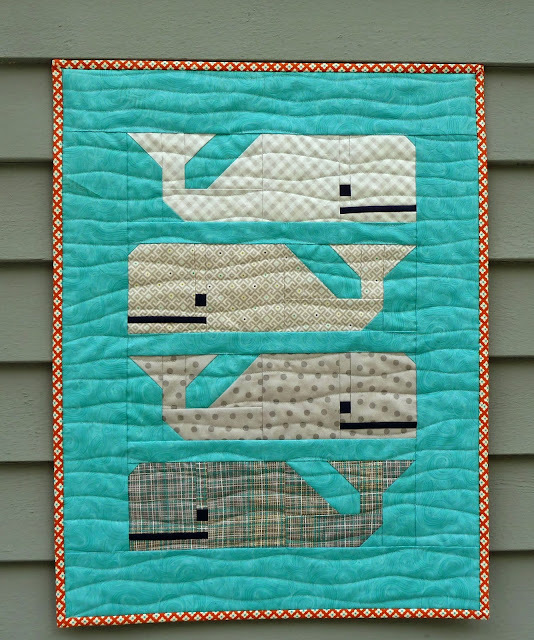 Finished quilt is 20" x 26"
Fabrics: Kona Nautical, Just Color by Studio E, Sunkissed by Sweetwater, Little Apples by Aneela Hoey, Foxfield by Tula Pink, and Textures by Angela Walters. 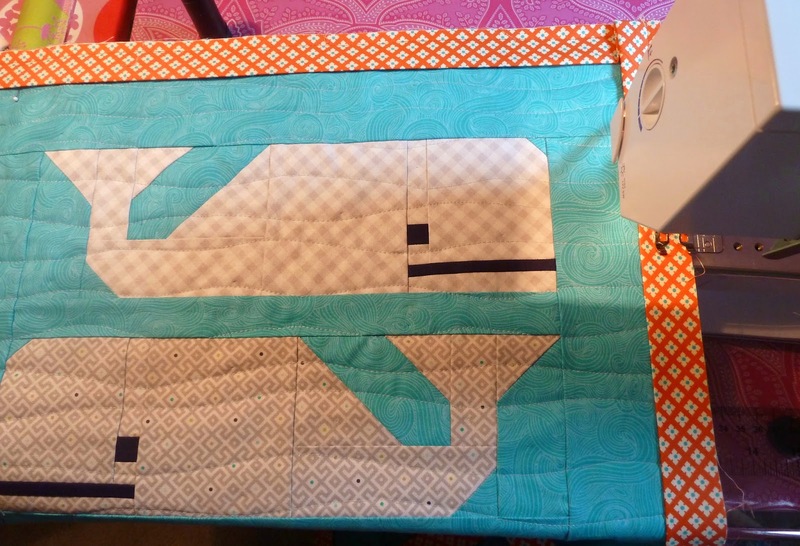 Binding: DS Quilts. Backing: Riley Blake Multi Houndstooth. Love it and the orange binding really adds the pop. Love it! I really want to make a Preppy the Whale quilt to hang in my daughter's ocean themed room. Ah, the infinite to do list.